The Rational Vue 2D/3D compound Measurement Software series offers universal and powerful 2D/3D measuring function to users. It offers basic elements measuring such as points, lines, angles, circles, distance, etc. The Rationvue series provides outstanding motion control to the automatic machine. Together with the strong edge detecting function and easy pprogramming, ensures very high measuring efficiency in mass measuring. It is the best vision measuring software in cell phones, plastic products, electronics, etc which need mass production and quality control.Also the strong 3D measuring function is powerful tool for the complicated parts 3D dimension measuring. RationalVue is the first software that import CAD into video measurement software in global. RationalVue is the first software without precedent that combines with CCD, probe and laser together, and can switch used software freely. 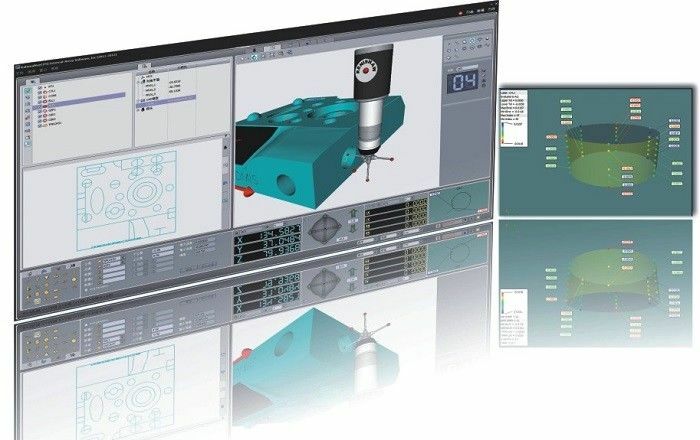 RatonalVue gathers 2D/3D measurement, data analysis, SPC, CAD reverse, Formerror analyzing, profile scanning and offline simulation together in the software. 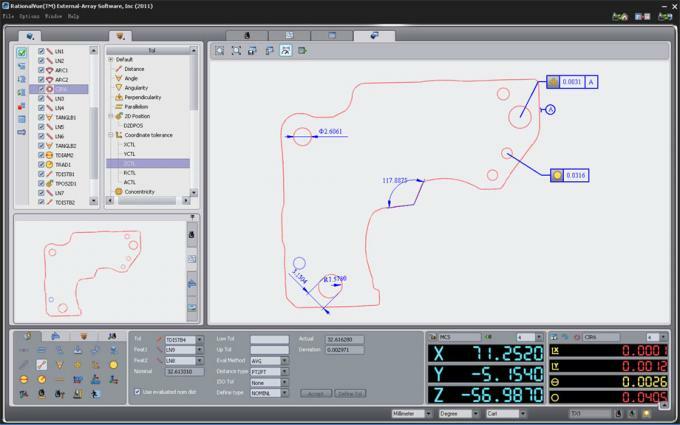 Supports offline simulation measurement which can make offline training and offline programming. RationalVue can make CCD, probe, laser to complete the perfect unification of coordinate, program and data respectively, of which can make the product measurement by free switching probe under the same coordinate system. The introducing of composite measurement reduces the assemble times of components and enhances measure efficiency. While saving cost, it also reduces space for customers. 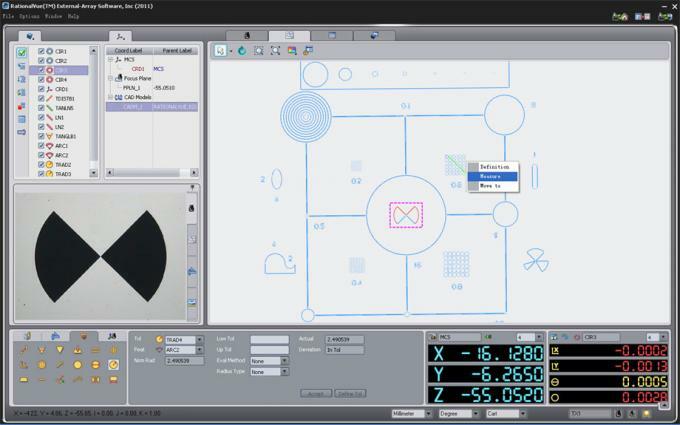 RationalVue can import IGES, STEP(3D)and DXF to make CAD comparison measurement. Guide program(enhance program efficiency by more than 2 times). RationalVue can export CAD with IGES and DXF format to realize reverse engineer.